Jody Williams and Jim Dryden, published by Flying Paper Press. The exhibition includes copies of the book, which viewers may handle, framed page spreads of each artist's contribution, and a selection of other collaborative artists' books. 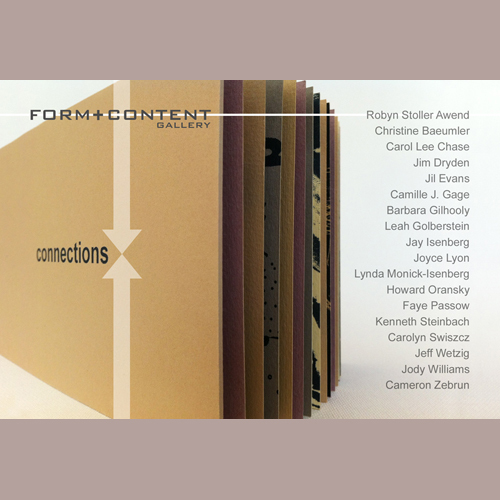 Artists invited to participate in the book include members and friends of Form+Content Gallery. Each artist chose a word related to the theme of connections, and had two months to complete an image inspired by that word.